Manonik is a New York-based art-design studio, amalgamating purpose, critical thinking, and craftsmanship. Manonik handcrafts humanistic garments one at a time, using the finest and purposeful materials curated locally and internationally. Manonik’s creations are the results of critical explorations with these materials and contemporary textile-making techniques which Manonik alters and adjusts to advance the craft. Through collaborations with small groups of artisans, and independent farmers and mills, all materials are crafted to the highest standard of comfort and durability. 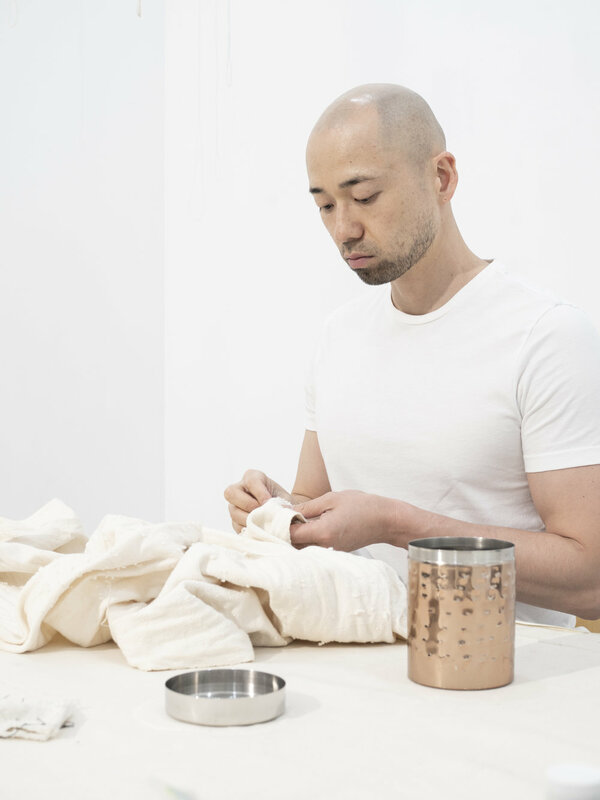 Every garment, handcrafted for life, is an artistic expression and a showcase of craftsmanship; Yoshiyuki, the man behind the brand, pours an inordinate amount of time and labor, handcrafting and altering each fabric, to single-handedly breathe life into each garment. Manonik represents an alternative approach to clothing, offering genderless, sustainable luxury wear for those seeking beauty, freedom, and comfort beyond the norm. At the studio, process conceives all designs. Manonik independently developed a weaving technique “three-dimensional pattern weaving” where components of a garment are woven on the loom as volumes, rather than cutting patterns out of a flat cloth. Spontaneity permeates through the processes, seen in the imperfect weaves where imperfections are celebrated, and humanistically dyed and painted cloths where the inconsistency of color is respected, as well as improvisational crocheting where there is no pattern or stitch counts to name a few examples. 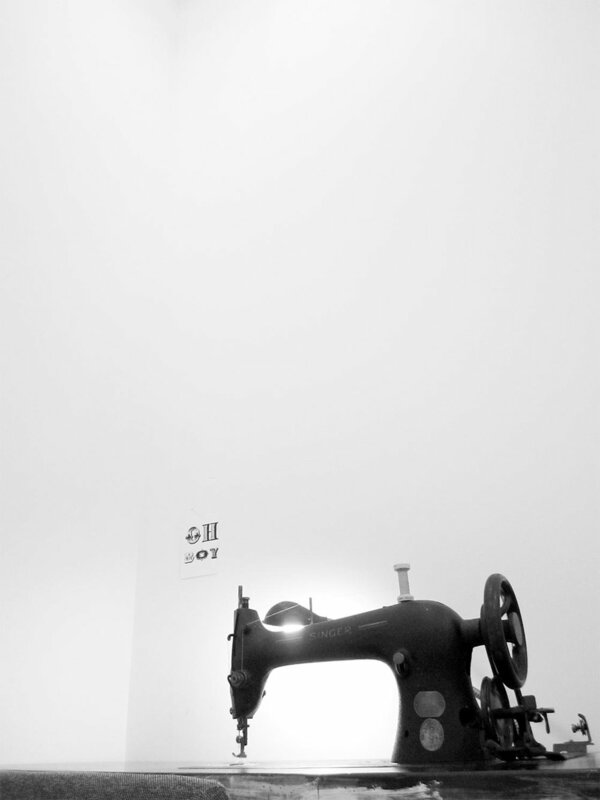 When a garment is constructed from a traditional, single layer of cloth, the technique of zero-waste patterning is utilized to use the cloth in its entirety. The processes employed at Manonik reflect the studio’s commitment to critical design and sustainability, taking into account all possible steps of production from farming, to processing of raw materials, all the way through production, to the life of its designs, as well as labor relations, innovation, and cultural preservation. Singer 31-15, a monolithic iron head, manufactured in 1912. Four-harness loom with two back beams to allow segmented weaves. A technical drawing of a jacket with its precise calculations to weave fully-shaped volumes on the loom. Three-dimensionally pattern-woven bodice with shaped armholes. Three-dimensionally pattern-woven sleeve with an internal rotation. Japanese indigo plants, at the harvest in Upstate New York. Japanese indigo leaves, stripped from the stem and being dried under the sun..
Organic vat made with Japanese indigo leaves. Award-winning merino raw fleece from a farm in Upstate New York, before being processed.